As you will be aware, Cornwall Council is undertaking a Community Governance Review for the whole of Cornwall. This review may consider parish boundaries, the number of seats and warding arrangements for local councils and their names. It provides an opportunity for all local councils, communities and individuals to review and propose changes to these arrangements at parish level to ensure that they are reflective of the identity and interest of your local communities and work as efficiently and effectively as possible. We have now launched the Community Governance pages on our website. We have published the timetable for the review, its Terms of Reference and other supporting information. We will continue to update these pages as the review progresses including with an FAQ page. We are inviting local councils, parish meetings, local residents and other interested persons, groups or organisations, to provide a submission by no later than July 17 2019 for any particular changes they want to make to the current governance arrangements. Please use our submission form. We strongly encourage all local councils and parish meetings to make a formal submission, either to let us know about any changes you wish to make, or to let us know you wish to see no change, and why. In order for Cornwall Council to give appropriate weight to your submissions, it is important that you seek to provide evidence to support your proposal. We expect local councils and parish meetings to undertake appropriate engagement within your local communities to inform your submission and to provide evidence that any proposals are reflective of the identity and interest of the community and support effective and convenient community governance. 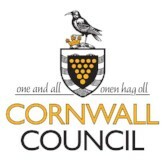 The information available on Cornwall Council’s website is designed to provide accessible background information about the review and key data to support such engagement. To support local engagement, on request, Cornwall Council will endeavour to make available paper copies of locally relevant information (such as maps and demographic information), subject to available resources. If you have any queries about this review, please e-mail CGRs@cornwall.gov.uk or contact your local Community Link Officer in the first instance. Please also note that CALC have agreed to provide advice to all local councils in Cornwall, not just CALC members, in relation to this review. I would be grateful if you could bring this message to the attention of your councillors. Copyright © 2019 Cornwall Council, All rights reserved. This newsletter and bulletin includes information about Cornwall Council. You are receiving this email as a City, Town or Parish Council, or partner organisation who may find the information useful or interesting.